Elizabeth Butler is an archaeologist working a dig at a Mayan site in the Yucatan. In her mid-fifties now, she has a painful personal history of a failed marriage, a failed suicide attempt, and lost custody of and limited contact with her daughter, Diane. Diane Butler has lost her father, her boyfriend, and her job over the course of a couple of weeks, and for reasons she doesn't herself entirely understand, seeks out her famous and long-absent mother. Diane has been having disturbing dreams, in which she is falling from a great height into a dark void. Barbara has always seen shadows of the past, watched the long-dead inhabitants of the sites she studies going about their daily lives. It has given her a reputation for remarkably accurate and valuable hunches, but also a reputation for being very eccentric. 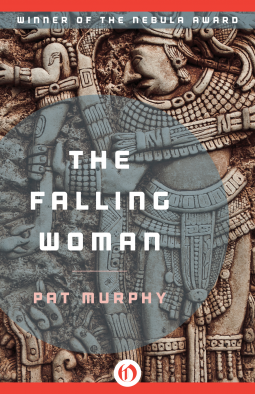 Now one of the shadows, a priestess of the Mayan moon goddess from just before the disappearance of Maya civilization, has started speaking to her. I knew when I began reading that I was taking up a very well-regarded but older novel, not just set but written in the mid-eighties, a time with in some respects a very different sensibility. Especially given its then-contemporary setting, I had some reservations, thinking that it might come off as a period piece. It didn't. The writing drew me in and built a Yucatan that, whether real or not, felt real as I was reading it. The heat, the powerful sun, and the buried, ancient city all seemed palpable. The core of the novel, the relationship between Elizabeth and Diane, and the slowly revealed agenda of the Mayan priestess, is rich and intricate and beautifully developed. I really could not put this one down. Highly recommended.